Do Breast Cancer Screenings Actually Cause Breast Cancer? Despite the successes of modern medicine, it often causes more problems than it solves. The modern allopathic approach to medicine is extremely good at solving short-term problems, but not so good at taking the whole system into account. New inventions are often lauded as brilliant solutions to prevalent problems, only to be demonized as harmful and health-sapping after a bit more research (DDT and other industrial chemicals are perfect examples of this unfortunate problem-solving method). This approach reaches the height of its absurdity when medical developments actually cause or accelerate the very problems they’re trying to solve. A prominent example of this sad situation is x-ray mammography, which is used for breast cancer screenings. Annual screenings have been lauded as excellent preventative measure against breast cancer, and massive education and awareness campaigns have been launched to ensure that women adhere to this yearly routine. Supporters of the practice point to the sharp increase in the discovery of “abnormalities,” and claim that these screenings are therefore saving lives by allowing for early treatment. Many health experts aren’t convinced, though. 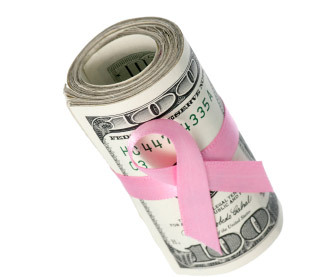 Independent panels have concluded that between 19 to 50% of all breast cancer diagnoses are overdiagnoses. This means that, in all likelihood, the abnormalities would’ve resolved themselves without the patient needing to undergo the exorbitant costs and health risks of chemotherapy and surgery (not to mention the emotional trauma that accompanies the process of battling cancer). For example, a large percentage of women who undergo surgery after a screening do so after being diagnosed with ductal carcinoma in situ (DCIS), which never presents any cancerous growth or symptoms, and which many researchers believe should be considered a non-cancerous condition. Advocates would argue that the risk of overdiagnosis is a necessary evil, and that early detection “saves lives” by preventing cancer from progressing into its advanced stages. But statistics suggest that this optimism is unfounded. Despite claims by early studies that screenings would reduce death rates by as much as 30%, the incidence of advanced-stage cancer has not decreased by an appreciable amount. And here’s the coup de grace: strong evidence suggests that x-ray mammography is actually carcinogenic in and of itself. That’s right: your breast cancer screenings may actually be placing you at higher risk for developing breast cancer. New research on low-energy ex-rays—including one study in the British Journal of Radiobiology—has revealed that the risks of mammography radiation may be up to 600% higher than previously estimated. Experts now believe that x-rays are more carcinogenic than atomic bomb spectrum radiation. All of the above is not to suggest that there’s anything wrong with the concept of early detection. Women simply need to be afforded with safer screening options, and empowered to make educated decisions following their diagnoses. The most promising safe alternative to x-ray mammography is thermography, which “reads” your body’s infrared radiation in order to detect physiological pathologies. And it does far more accurately than mammography—without any of the carcinogenic risks. In some cases, thermography can even detect the onset of cancer development 3-5 years early than a mammogram, with up to 97% sensitivity—and the process doesn’t expose your body to harmful radiation. 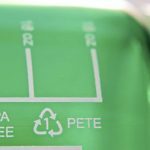 So why isn’t thermography more widely used? The medical establishment simply doesn’t educate people about their options, and instead chooses to cling to inferior and potentially dangerous technologies like mammograms—simply because they’re the accepted standard. It’s also worth stating that the Breast Cancer Awareness movement, which is largely responsible for recommending yearly mammograms, is co-funded by the manufacturers of mammogram devices and chemotherapy drugs. Seems a bit strange, doesn’t it? Which is why it’s essential that you stay informed about the safer choices that are available to you. There are many achievements of which medical science should undoubtedly be very proud—but it has its limitations. Always be sure that you’re aware of the risks attached to certain procedures and technologies before trusting them as the solution to your health problem. Know that—despite what conventional doctors with vested interests may want you to believe—you have options. Thermography is just one example of an alternative to default medical practice that is not only safer, but also just as effective as its carcinogenic cousin. 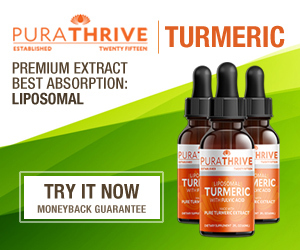 Putting the time into finding alternatives like this one is a step toward ensuring radiant health, as well as independence from a medical system greatly in need of a complete makeover. Get This 51 Page eBook FREE! « Antineoplastons: A Cure for Cancer Ignored For 45 Years? 11 Ways to Help Prevent Alzheimer's! 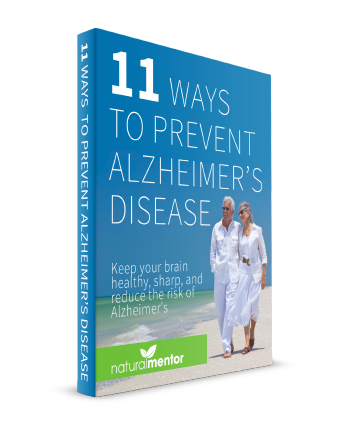 Keep your brain healthy, sharp, and reduce the risk of Alzheimer's with this Free eBook! Download this FREE eBook and find out how! GET THIS 51 PAGE EBOOK FOR FREE! Enter your email and download it today for free! 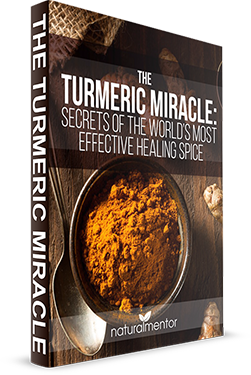 "THE TURMERIC MIRACLE" eBook is waiting.